Japan made it three wins in a row under head coach Hajime Moriyasu as they edged a seven-goal thriller against Uruguay on Tuesday. The Samurai Blue claimed a 4-3 victory at Saitama Stadium thanks to a double from Takumi Minamino, either side of goals from Yuya Osako and Ritsu Doan. Uruguay – without talisman Luis Suarez, who was left out of the squad as he is expecting the birth of his third child – responded through Gaston Pereiro, Edinson Cavani and Jonathan Rodriguez, but could not avoid a second friendly loss in succession, having been beaten by South Korea last week. Minamino broke the deadlock 10 minutes in when he fired high past Fernando Muslera, but Pereiro levelled just before the half-hour mark from close range. Osako turned home a rebound to restore the advantage only for Cavani to equalise in clinical fashion, but it was 3-2 just two minutes later when Doan made the most of a corner. 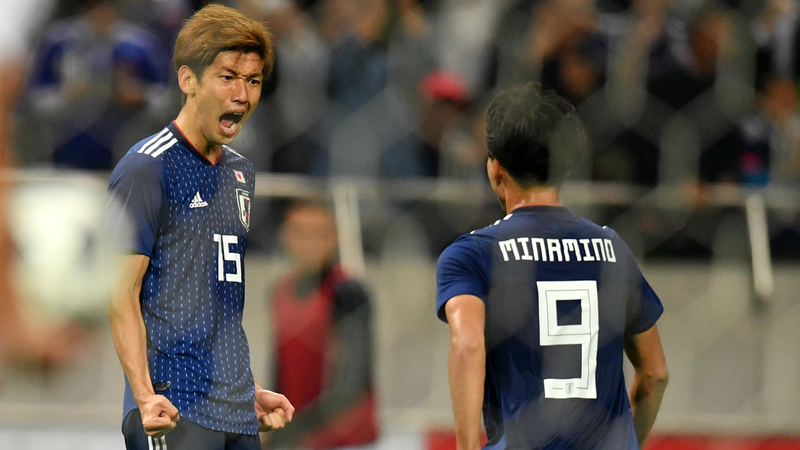 Minamino got his second after 66 minutes from another rebound and, although Rodriguez pulled a goal back, Japan held firm for a victory that follows impressive wins over Costa Rica and Panama.